Some readers have noticed the CFE credential placed after my name. It stands for “Certified Fraud Examiner”, a designation earned from the Association of Certified Fraud Examiners requiring testing in accounting, law, criminology and investigative techniques. 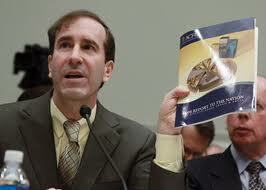 This once-obscure designation became better known with the media attention on Harry Markopolos, a Certified Fraud Examiner who tried for 8 years to alert the SEC (US Securities and Exchange Commission) to the fraudulent Bernie Madoff Ponzi scheme and who later testified before the U.S. House Financial Services Committee on the negligence of the SEC. He was interviewed on CBS Sixty Minutes by Steve Kroft and has his own book, No One Would Listen: A True Financial Thriller. Most CFEs are also CPAs (certified public accountants) and thus concentrate on forensic accounting matters not related to real estate. I know of no other CFE who is also a commercial appraiser, which is a shame, because it would be foolish to think that fraud is not present in the commercial real estate industry. I specifically pursued this credential because I witness so much fraud in the commercial real estate business, and I also work with attorneys pursuing fraud complaints. Most of my work, though, is for private lenders, and the emphasis is on fraud prevention. Private lenders are usually lenders of last resort and therefore attract some desperate loan applicants. My job is to not only value the property, but also detect misrepresentations and verify essential facts about the property and the borrower before a loan is made. This is how I got involved in appraising internationally, because international transactions bear a higher risk of fraud, and some private lenders are brave enough to venture into this area. I also perform pro bono consulting work for swindled real estate investors, mainly because they've already lost all of their money and can't afford to pay me, but asset recovery is elusive when the swindlers are allowed to declare bankruptcy while hiding assets. The victims are all senior citizens, which saddens me when I pause to consider how many thousands of people employed in the financial services industry work towards cheating people who spent their entire lives in honest careers and expected secure retirements. Nevertheless, I continue to explore asset recovery strategies for these aggrieved investors. 6. Understanding the psychology of deceit. 1. I easily determined that an Indian hotel owner had provided false income and expense statements because all line items had been increased at the exact same percentage over the previous year, which is a statistical impossibility. 2. I am constantly preventing commercial mortgage frauds in which properties are being purchased at inflated prices by supposedly independent parties who are actually the sellers themselves or related parties. These inflated prices were being used to request loans which were greater than the values of the properties serving as underlying collateral. 3. I like to get the property owner to confirm essential facts just in case their representation of facts changes. In Mexico City, I confirmed a property’s zoning with the managing co-owner, by saying “I see from the zoning that you can build up to 100 homes on this site” to which he responded “Yes, but even after considerable site development we would only be able to build about 80 because of the topography”. Not surprisingly, I was contacted by the lender-client several months later to be asked why my estimate of value was only 5% of the value estimated by the Cushman and Wakefield Valuation and Advisory office in Mexico City. Their appraised value was based on zoning that allowed 1500 homes to be built there. Forced into a conference call with the Mexican appraisers and my client, I asked, “What made you think that this site was zoned for 1500 homes?” Their answer was “The broker told us so.” A recheck with the zoning office confirmed that zoning had not changed, only the borrower’s story. This further confirms my low opinion of Cushman and Wakefield appraisers. See http://www.internationalappraiser.com/2011/05/warning-about-international-real-estate.html and http://www.internationalappraiser.com/2011/06/gibson-v-credit-suisse-mother-of-all.html . Are they about to become the Arthur Andersen of the real estate valuation profession? 4. For instance, I encourage the attorney to get me the opposing side’s supporting appraisal reports right away so that I can prepare insightful questions for them to ask in their subsequent deposition of the appraiser. When the dishonest appraiser crumbles in the deposition, the case can be settled more quickly. 5. Some of the things I’ve learned from ACFE about testifying include a) always tell the truth, b) try to provide only ‘yes’ or ‘no’ answers when being questioned by the opposing attorney, because the more one speaks, the more one can have his words used against him, and c) do not pretend to know more than the facts and analysis have revealed to me. Opposing attorneys, for instance, like to ask me “What if?” questions that would take me from the realm of what really happened to the realm of conjecture and hypothesis. 6. Fraud criminologists contend that fraud starts with a financial burden being experienced by the fraudster. In real estate, that often means a property experiencing negative cash flow or a property that is failing to attract interested tenants (in the case of developed properties) or builders or buyers (in the case of land). The fraud then happens when there is a perceived opportunity to relieve this burden (such as a naïve lender or a naïve group of investors). The final step is to rationalize the fraud, which in the real estate industry, is often the simple bromide “Everyone’s doing it”. 1. Those who deny that it is happening. 2. Those who know it is happening, but do not think it is their responsibility to stop it. 3. Those who think it is also a problem, and make some efforts to prevent it. An appraisal or valuation is worthless if it is based on false information. It disturbs me that there are high-level members of the appraiser/valuer profession who think differently, people who see an appraisal analysis as an academic exercise based on suppositions. These are people who think that an appraisal report is a good report even if the estimate of value proves to be erroneous. They can justify faulty reports with a section entitled Assumptions and Limiting Conditions. In summary, some instruction on fraud prevention should be part of every appraiser or valuer’s professional education. Let me also take this opportunity to plug my book (published by the Appraisal Institute), Fraud Prevention for Commercial Real Estate Valuation. See sidebar. A pin has as much head as some authors and a good deal more point.Advantageously, the publish is basically the best on this valuable theme. I fit in with your conclusions and will thirstily appear ahead for your incoming updates. Great post and rationale for the CFE. I'm a relatively new/young CG and have been weighing whether or not to get the MAI designation. I think I'll look into this as in interim step. It's awesome too come across a blog every once in a while that isn't the same old rehashed material.